Never before have we seen such naked corruption on a grand scale. Sooner or later, the US Federal government will have to come clean about their beneficiary role in the billions of dollars in narcotics imported into the United States each year. LOOK THE OTHER WAY: US Attorney General Eric Holder knows how DEA are flooding his hometown of Chicago with cocaine. Revelations surrounding ‘Operation Fast and Furious’ gave the public an insight into the nefarious, yet symbiotic relationship between US federal agencies and Mexican drug cartels. Newly released documents and testimony from Justice Department and DEA officials now show the stories of government running cocaine are true. An investigation conducted in Mexico found the American government allowed that country’s largest drug cartel, Sinaloa, to operate without fear of persecution. That groups is estimated to be responsible for 80 percent of the cocaine coming into the country through Chicago. In exchange, the leaders of Sinaloa provided the DEA information on rival gangs. “El Vicentillo” being presented to the media in Mexico City on March 19, 2009 (REUTERS/Daniel Aguila). A few hours later, Mexican Marines arrested Zambada-Niebla (a.k.a. “El Vicentillo”) on charges of trafficking more than a billion dollars in cocaine and heroin. Castanon and three other agents then visited Zambada-Niebla in prison, where the Sinaloa officer “reiterated his desire to cooperate,” according to Castanon. El Universal, citing court documents, reports that DEA agents met with high-level Sinaloa officials such as Castro more than 50 times since 2000. Then-Justice Department prosecutor Patrick Hearn told the Chicago court that, according to DEA special agent Steve Fraga, Castro “provided information leading to a 23-ton cocaine seizure, other seizures related to” various drug trafficking organizations, and that “El Mayo” Zambada wanted his son to cooperate with the U.S.
“The DEA agents met with members of the cartel in Mexico to obtain information about their rivals and simultaneously built a network of informants who sign drug cooperation agreements, subject to results, to enable them to obtain future benefits, including cancellation of charges in the U.S.,” reports El Universal, which also interviewed more than one hundred active and retired police officers as well as prisoners and experts. 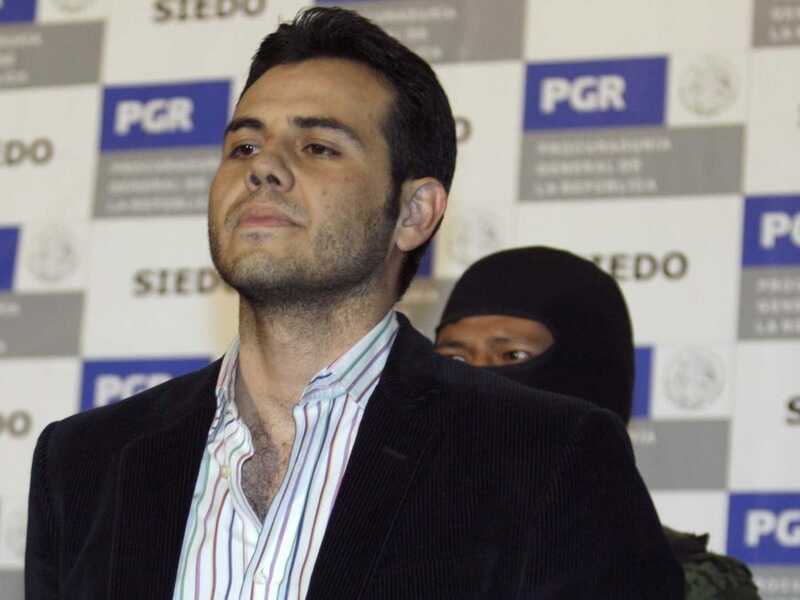 Zambada-Niebla’s lawyer claimed to the court that in the late 1990s, Castro struck a deal with U.S. agents in which Sinaloa would provide information about rival drug trafficking organizations while the U.S. would dismiss its case against the Sinaloa lawyer and refrain from interferring with Sinaloa drug trafficking activities or actively prosecuting Sinaloa leadership. “The agents stated that this arrangement had been approved by high-ranking officials and federal prosecutors,” Zambada-Niebla lawyer wrote. El Universal reported that the coordination between the U.S. and Sinaloa, as well as other cartels, peaked between 2006 and 2012, which is when drug traffickers consolidated their grip on Mexico. The paper concluded by saying that it is unclear whether the arrangements continue. The DEA and other U.S. agencies declined to comment to El Universal. [UPDATE 1/14] This post has caused many to interpret that the U.S. government is actively supporting Sinaloa. That has not been established, despite claims by Zambada-Niebla’s lawyer and Stratfor’s source. What El Universal’s investigation and the newly published court documents reveal is that there was a strong correlation from 2005 and 2009 between the rise of the Sinaloa cartel and the DEA’s relatively regular contact with a top Sinaloa lawyer.